Better Posture is Essential for Your Well-Being. But Can Corrective Braces Such As Posture Now Really Help You? If you are unfortunate enough to wear a back brace when you were a child, then the idea of back braces for posture might seem like a terrible thing to you. It’s 2019, and I love my readers, aka you! Thank you for making me on of the top health blogs of the last year! I’m looking forward to a rewarding year! Back braces have become increasingly popular recently, as more and more people struggle with their posture and are looking for a way to improve it. The back braces that were once used for various back ailments in the past were significantly different than the braces used today to develop improved posture. What Are Back Braces for Posture? The idea of a back braces generally to retrain your musculature so that your back will maintain an upright position without a lot of effort. When people spend a lot of time in front of a computer, or they are not particularly active, they start to lose their muscle tone in their torso, core muscles, and abs. Also, they may start to hunt should their shoulders forward, which can make things even worse. By using back braces for posture, you can begin building those muscles in a way that helps you stand upright. 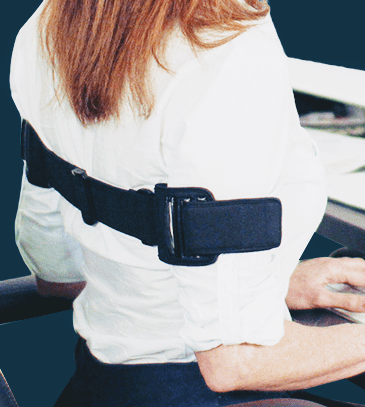 Even people who have been slumping or slouching for many years can utilize a brace to help their posture. Why Do You Need Good Posture? First of all, when you stand upright with good posture, you will appear taller and thinner, and obviously a lot more confident too. If you looked at photographs of one person, and they were slouching in one photo and standing tall in another, they would probably look like two different people to you, and you would also have a different opinion of them, too. Secondly, When you are slouching, you are also not getting sufficient oxygen into your body, which means that lack of posture actually affects your energy level. As a result, you may actually gain weight and become tired more easily when you are not prone to standing or sitting upright. There are a number of different types of back braces for posture, and if your doctor has addressed your posture with you, then they may recommend one of their favorite brands. In fact, they may also recommend that you have one specially made for you, which could set you back hundreds or even thousands of dollars. If there is one thing that most back braces have in common, it is that they are unattractive and not very comfortable. Especially the older styles of back braces, which were once used for people with back issues or pain, are particularly uncomfortable. Where Can You Buy Back Braces for Posture? One of the most popular back braces to help improve posture these days (2019) is a fairly new product called Posture Now. This is the device it was recently featured on “The Shark Tank”, which is a television show that features new inventions. As a result, tens of thousands of these have been sold all over the world and are now in use by people who want to improve their posture. 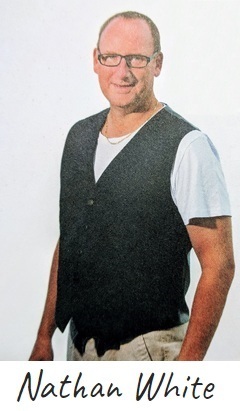 This product has a number of unique features, including the fact that it can be worn beneath your clothes or on top of your clothes, and you only need to wear it for anywhere between 10 and 30 minutes per day. By doing so, you will see an immediate difference in your posture, and you will be able to train your muscle memory so that you stand up straight and sit up straight without even thinking about it. The Posture Now device comes with a 30 day money back guarantee, and is actually endorsed by two of the professional dancers on the television show, “Dancing with the Stars”. Is This the Right Kind of Thing for You? Whether you are looking at a back brace because you want to be able to stand with good posture, or because you are having back or other health issues that this can help you with, finding the right back brace for your problem is very much essential. Ideally, this is not the device you would want to wear for a long period of time each day, because you could actually start relying on it. But, by wearing a brace like the Posture Now device, you will be able to strengthen and retrain your muscles without building a dependence on the device. Because this particular back brace comes with a money back guarantee and is also a very affordable price, it is the preferred solution for people who really want to make a change in their posture quickly and effectively. You will feel better while wearing modern back braces for posture, and your friends and family will also notice that you walk, stand, and sit straighter, too. PS. Let me know if you have any more link suggestions regarding the topic of posture braces.